Below is SEO National’s list of the top 10 issues we often help business owners and webmasters with. Title Tags have experienced the gamut of good and bad with SEO. They have been everything from ignored in the past to over optimized as of recent. For as much exposure as they get from some SEO’s saying it’s all about Title Tags, many people still ignore them completely. We tend to take the middle ground. While Title Tags may lose value over time, they are still of some benefit today. We don’t advocate abusing Title Tags, but at the same time we’re always surprised with how many pages we find with no Title Tag at all when we audit a website during a consultation. This is what we will focus on… no leaving Title Tags empty. Since Google displays title tags by pixel width, this cuts down on the ability for many to stuff in excessive keywords (which you shouldn’t have been doing anyway). Most SEO’s had previously recommended writing Title Tags somewhere in the max range of 65 – 72 characters. Now that Title Tags are displayed in Google’s search results based on pixels there is no longer a fixed number of characters to target. While the letter “I” in a word may take up a handful of pixels, the letter “W” will take up three times the pixel width. Depending on what letters are within what words used in a Title Tag, some pages you only end up fitting in maybe 50 – 55 characters. Our suggestion is to approach Title Tags as if they were an abbreviated, one sentence summary of what the page is about. That way you focus on what is most important to represent in the Title Tag, which helps limit using an excessive number of characters. By making sure that each page has a Title Tag you help tell search engines what they page is about. Each day that passes search engines continue to get smarter and smarter. Eventually, it may be likely that Title Tags are not used in ranking algorithms, but they can till help generate clicks as a method of increasing call-to-action. By displaying a relevant summary of what the page is about it increases the likelihood that someone will click on that text, should your page show up in search results. Unnecessary “stuff” is everywhere on websites. From the excessive title tags previously mentioned and unnecessary meta tags, to scraped content and old Flash. It seems that websites are going through a rebirth. What used to be cool 5 years ago is now often considered tacky. More importantly, a lot of the items from years ago use outdated (slow) processes. What does this have to do with SEO? As older rich media like Flash is slowly overtaken by HTML5, and other coding improvements come along, a lean, mean, quick-loading-website machine is what search engines want to see. And search engines are rewarding businesses and webmasters for quicker load times. Google wants to give searchers a good search experience. If delivering a quicker loading competitor’s site over yours helps prevent the searcher from sitting in boredom and bouncing from your website after waiting for the page’s bloat to load, than that’s just what they’ll do. 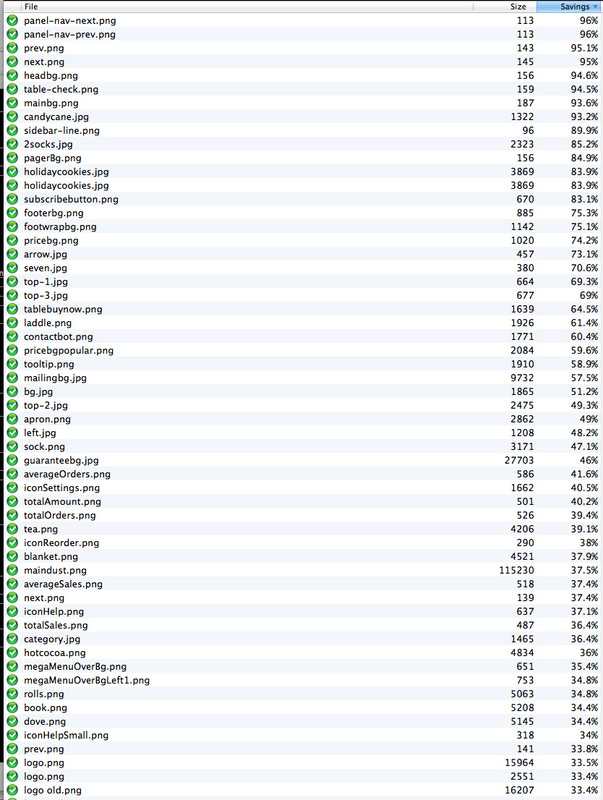 Along the lines of bloat, a big issue with pages loading slow is that the images are often not served at proper size. A good example would be if a business owner wanted to display a 500px x 500px sized image of their storefront. The break out their camera, snap a pic, download the pic to their desktop, then upload it to their website and scale it to 500px x 500px. However, they didn’t resize it. They just scaled it. Now their website has to load a 3500px x 2500px picture, but display it at 500×500. Even though it is displayed smaller it still has to load the full size image. Why not resize it before loading so the website can quickly serve the smaller image instead? Another fix for images is to take advantage of lossless image compression. This method of compression retains the visual quality of an image, all while downsizing the actual file size by as much as 90%. The problem webmasters face is how to incorporate image compression on a large scale. If the images on a website do not change often they can simply be compressed one time, never to be worried about again. However, if the website has continually changing inventory or is a repository for shared content (forums) than images are loaded throughout an on-going basis. To solve this issue there are available plugins for popular Content Management Systems, like WordPress. Our favorite is WP Smush. There are also API’s available from popular compression tools for those that would like to integrate compression into custom website backends. This may sound like an obvious one, but there are many that still argue that dynamic vs SEF url’s don’t matter. Or, there’s those that simply don’t care one way or the other so the website goes live with whatever the default url structure is. 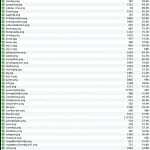 Yes, it is true that dynamic url’s/pages should get indexed with no problem. However, that doesn’t mean that pages with search engine friendly url’s won’t rank higher. All popular Content Management Systems these days have the ability to enable search engine friendly url’s. Use it. The .htaccess file is a text file that is in the root of a website’s hosting directory. While there is not literally a .htaccess file for Windows hosted websites, the importance of understanding a website’s “rules” that .htaccess files can govern are the same. This small, single file can make or break a website. With just a line or two of code it can help you add redirects when necessary, set caches and expires headers for quicker page loads, mitigate hacking, block IP addresses, all sorts of goodness. Or, it can crash you entire website because someone accidentally left an extra comma on a line. The issues that webmasters face with .htaccess files is knowing how to format it properly vs. not getting in over their head and breaking something. .Htaccess files are extremely valuable. Use them where you can and with what you are comfortable with editing. For newer webmasters, knowing their limits is key to avoiding biting off more than they can chew and turning the beauty of .htaccess files’ abilities into a nightmare. Along the same lines as understanding the power of .htaccess files, simply understanding a website’s structure is equally important. It may sound like a no-brainer, but surprisingly most webmasters do not know for sure how many pages they have, how many have broken links, etc. By running a thorough audit with a program like WebMeUp will help webmasters know how many pages their website has, what pages have gone missing, where broken links are, what pages have empty Title Tags, etc. The simple task of understanding (or better yet, fixing) a websites structure can be one of the easiest to fix, because you can run audit programs, but is often one of the most rewarding for search engine gains. Unique content is quite the buzz lately. In reality, it’s always been important. The issue that website owners face is knowing what to write about and how frequently. There is no right answer. Webmasters, bloggers, authors, etc. should write to engage their audience. Creating compelling content to generate returning visitors is more important than keyword stuffing and getting a bot to index the page one time. Now that a business owner has an awesome website and they’ve began to generate content, how do they spread the word? Outreach. Reaching out to other webmasters, business owners, news outlets, etc. can be hard. You want their co-citation and you want a backlink from their website. You don’t want to feel uncomfortable asking though. You don’t want to go after spammy, low-quality links either. Outreach is one of the slowest, yet most rewarding parts of SEO. Get involved in the local community. Go to business conferences. Offer free tutorials. By getting involved you will generate outreach without all of the awkwardness. Plus, you usually end up feeling good about getting involved with your peers. By far, the biggest issue that SEO’s face is diversity. The previously listed 9 issues that SEO’s face is just the tip of the iceberg. Knowing that those 9 are just the beginning, imagine how complicated of a process it is to manage and fulfill all of the above, plus many more tasks. 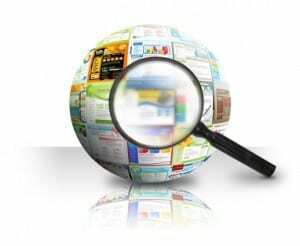 Search engine optimization is not an easy task. But those things in life that are the most rewarding are never the easiest. While SEO tactics will always change, it seems that many of the most impacting variables are the same as years ago, and will continue to be so well into the future. To be successful in SEO, focus first on the important website variables that don’t change so that you establish a solid foundation for your other efforts. Once you have the “for sure’s” in place then you can test the waters with other search engine optimization methods to increase a website’s exposure.